My favorite game mode in the NBA 2K series – and I am sure I am not the only one – is My Career, where I try to take My Player and turn him into an NBA legend. This year’s game makes no difference, and with a pretty big change in the approach of this game mode, the NBA 2K15 My Career is better and more interesting than ever. It is also just as difficult as ever and I am sure that some tips and tricks won’t hurt if you want to make quick progress. 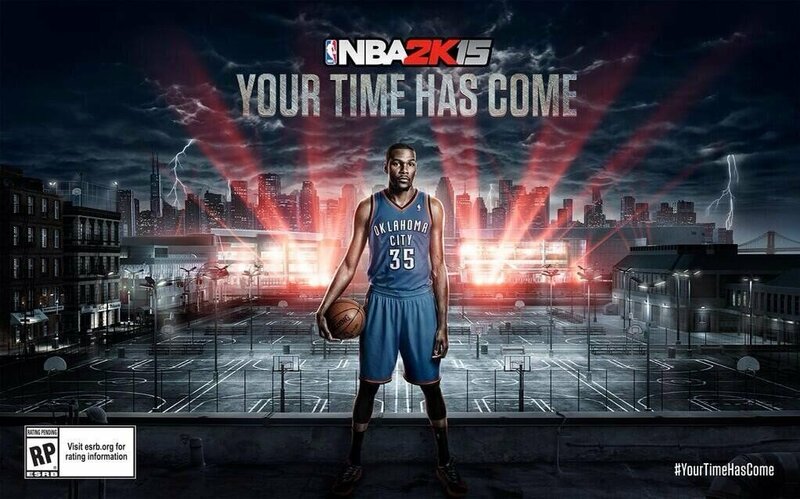 And I am here to share that with you with a complete NBA 2K15 My Career guide and tips for a perfect My Player. From starting out and selecting your first team to becoming a starting player and eventually earning your MVP trophy, all our tricks will help you out a lot so let’s check out our NBA 2K15 My Career guide below and let’s get ready for the spotlights with My Player! Unlike the previous games where you had a lot of control regarding your player’s stats, in NBA 2K15 things are a bit different. You start out by choosing just the physical appearance of your player and an important element: the height. It’s all common sense now: if you want to play PG, don’t get your height too high. If you want to rule under the rim, get your player over 6.7. And that’s the only thing that you can control before heading to the first game and given a chance to be in the NBA. If you manage to get selected for a team with the 10 days contract, things will get more interesting and you will have access to a bunch of other customization options. First start with the animations and make sure you select the ones that seem like the best to use in the game. You want quick, good moves that will confuse the defender, so select what seems best. Crossover 2 seems a good place to start, but you can try them out and see where it goes. Then, the most important thing follows: upgrading your attributes. You start with a specific set of attributes based on the position you have chosen (and probably your height) and, unlike the previous games, in NBA 2K15 you upgrade them in batches. There are six categories and each upgrade gives you extra points in each area. The Athletic category, for example, improves your standing and driving dunk, Speed, Quickness, Vertical, Strength, stamina and Hustle. So a lot of skills to improve in one go, but unfortunately you don’t have a direct control on what to focus on. Still, the six categories are pretty good and they still allow you to specialize. Now, depending on what you want to do in the game and what your role is, there are more options. I would personally recommend to spend all your coins on upgrading the attributes and none on getting “fashion” items for your player. It makes a lot of sense: you want to become a good player first, and only later on sport the best headband in town. So my suggestion regarding attributes would be to get a few upgrades on the Athlete pack (get it at least to level 3), then the jump shooter (level 5) because being able to score really is important in the game. Finally, I would suggest you invest some coins in the Defender pack and maybe the Rebounder, depending on your play style. The advantage of skills coming in packs is that they are overall cheaper than in previous games, where just increasing your speed by one point was insanely expensive. 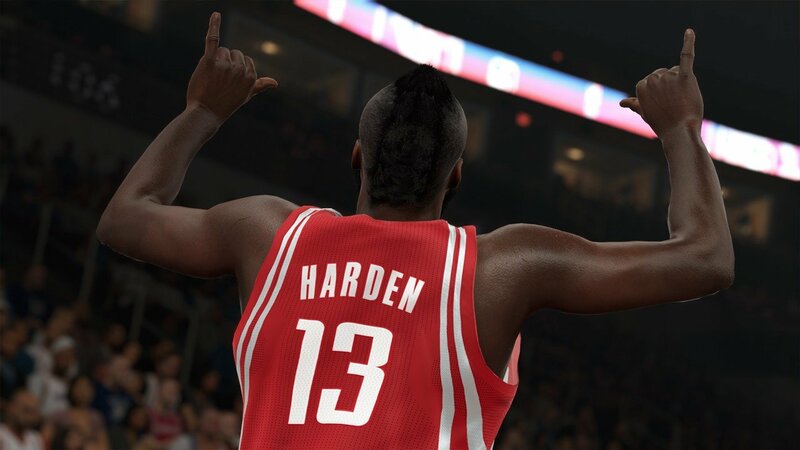 Things have changed a bit in NBA 2K15 when it comes to choosing a team and you will have a set of 10 to choose from. They are most likely randomly generated each time, but one thing matters the most: the required teammate rating required to be accepted. My personal suggestion would be to go for those looking for a C or low B, because you have higher chances of meeting the requirements (remember: you are just a starting player with no skills, there are slim chances you’ll get an A+). Plus, the best part about choosing a mediocre team is that you’ll break into the starting five easier and you’ll earn more coins to spend on upgrading your skills. And that’s exactly what you need to grow your player even more! The most important season in your game will be the Rookie year, because that’s when you will grow the most. So make sure that you are a team player, that you put in some amazing performances and everything will go as planned. Work hard, think like a pro, be liked by the fans and your teammates and everything will be fine. At first, you won’t get too much play time, so it’s extremely vital to get the most out of the few minutes that you get. Do what you’re specialized in doing and get your grade up as much as possible, as this increases your play time in the long run. Remember that being a team player is extremely important, so you might not want to try to become the superstar yet. So don’t take all shots, don’t keep the ball only for yourself: work hard in defense and stick to your man, getting a block or two, maybe a rebound or two to increase your rating. Pass the ball around and don’t rush things. Pick and roll remains one of the best moves in the game, and setting screens for fellow players keeps your player rating high. There’s a multitude of ways to keep that rating high without having top skills, and put them to good use. The whole point of the game is to get a great team rating and then more play time, which results in more coins to spend on attributes. An A+ team rating with 10 points scored is way better than a B rating with 40 points! Practice your moves and get badges: focus on your favorite move at first, then increase the number. The more times you use a move, the closer you get of earning the Bronze Badge for that move, which will give you increased chances of that specific move succeeding. For example, using the size-up dribbles often will give you after just a few games the bronze pet move size-up badge which will allow you to break your defender down more easily when driving to the basket. The same goes for the other moves in the game as well. Finally, you can upgrade the badge to Silver and Gold from the Attribute upgrades menu. So follow these tips, work hard and be a team player, playing real basketball and pretty soon you will become an All Star! If you have other NBA 2K15 My Career tips and tricks for My Player fans over the world, don’t hesitate to share them with us! Next articleDownload Dragon Age: Origins for Free, Right Now!